Selections on Strength of Mind, Living the Great Life, and Enriching Relationships. This is a handy vest-pocket sized collection of important verses from the Upanishads. 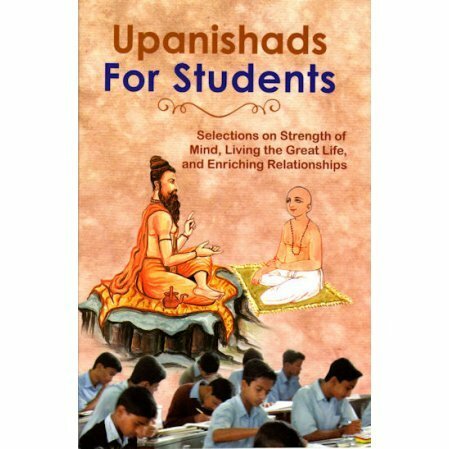 Beginning with two short introductory chapters about the relevance of the Upanishads for students and some facts about them, the book continues with ten chapters concerning various aspects of the spiritual life. For example: The Magic of Sincere seeking; Taming the Mind; and Unity in Diversity. Each chapter presents a few Upanishadic verses in the original Devenagri script, Roman transliteration, and English translation. Each verse is then followed by a commentary by Swami Vivekananda taken from The Complete Works. Ideal for teenagers and young adults.